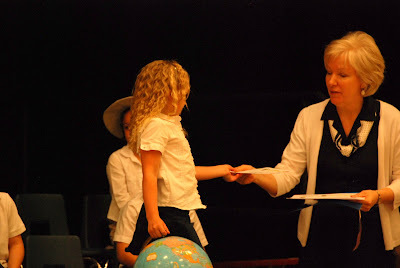 Jade's kindergarten did a fantastic program to end their year. 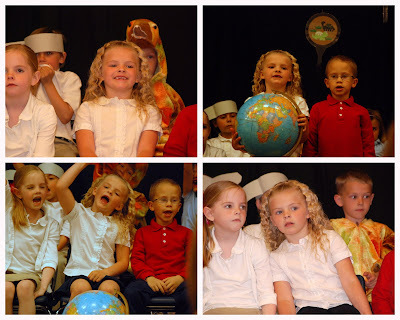 They had every child say a part, they sang a bunch of songs and then all received diplomas. They concluded the show with a very long slide show of pictures from the year. (I meant to get my images to them, and totally forgot) but it was very fun. We were so proud of Jade and what a great job she did. 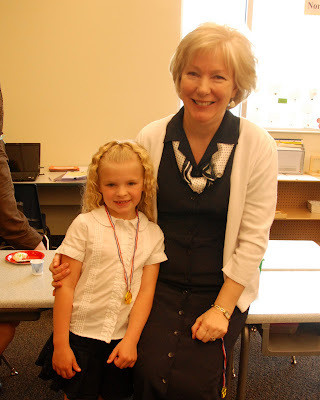 Congratulations on completing kindergarten. 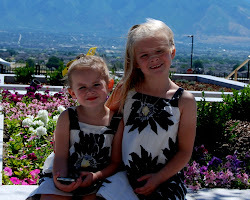 We love you and are so tickled with what a wonderful little girl you have become. Also, thank you Mrs. Ward for being such a wonderful teacher. Jade really enjoyed the year and learned so much. So cute-- and she did a great job! Congratulations Jade! How do you eat Cupcakes? Bella- "the scariest dog ever"